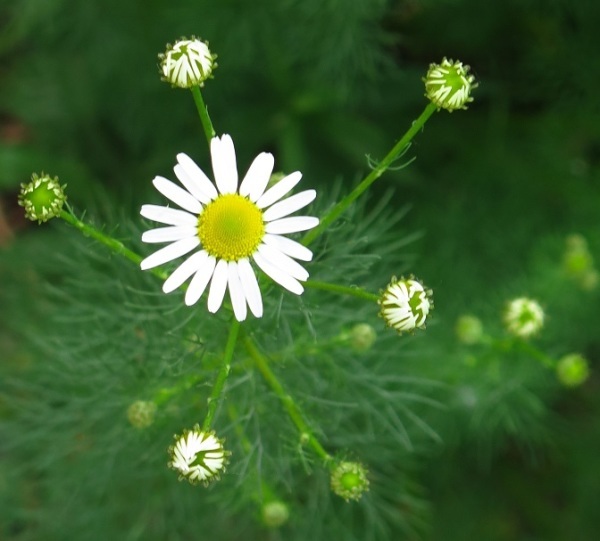 Flower head: Up to 4 cm - daisy-like. 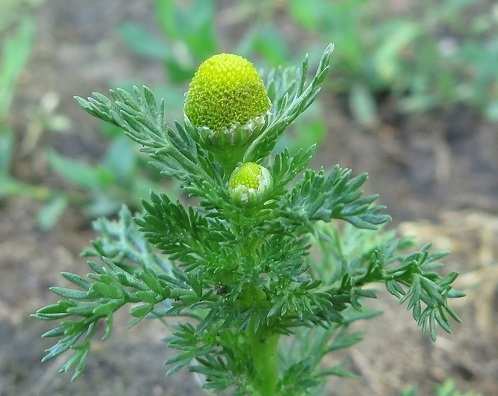 Flower head: 5-10 mm consisting of greenish yellow disk flowers. Phyllaries (sepal-like bracts below the flower head) are pale green with translucent margins. When bruised, the plant smells like pineapple.